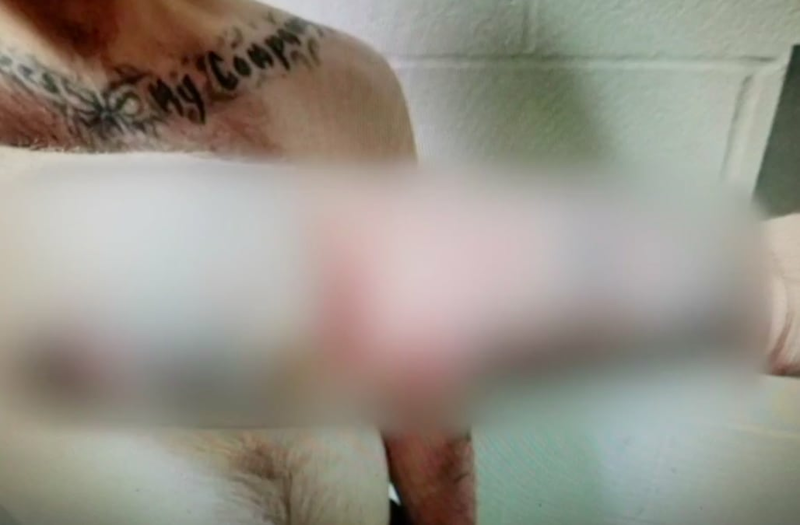 Police in Alliance, Ohio, issued a warning to other law enforcement officials after a man's skin was eaten away when he allegedly injected heroin tainted with a substance called "Rizzy" into his arms, according to WEWS. Narcotics officers who arrested the unnamed 25-year-old man last week said they immediately noticed his horrific injuries. WEWS reports that the man's forearm skin was blackened and peeling, and some of his flesh had been completely eaten away. The man told officers that he bought heroin laced with Rizzy powder and injected it into his arms, which is believed to have caused the severe injuries. According to a website that retails Rizzy powder, the substance is allegedly meant to be added to floral arrangements to dye flower pedals different colors. "Rizzy powder is a Flower centerpiece maker," the site reads. "For white flower centerpiece add 1/2 teaspoon to water in vase. Cut the end off of a flower so that it has a fresh surface. Allow several hours for Rizzy to be incorporated into the petals of the flower. Place a black-light behind the flower to add effect." The retailer also includes the following disclaimer: "TOXIC! Do not ingest. Keep out of reach of children. Call Doctor immediately if ingested." Alliance Police Sergeant Michael Yarian told WEWS that he fears Rizzy-tainted heroin could become the latest dangerous drug trend. "It's very, very disturbing," Sergeant Yarian said. "It's so new that we're not even sure what all the dangers are yet." While police are trying to figure out where the man obtained the tainted heroin, Sergeant Yarian issued a staunch warning in light of the disturbing case. "If you see something that you don't recognize or you don't know what it is, do not touch it because it could be deadly," he said.